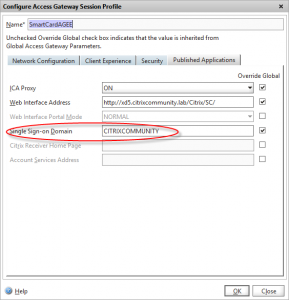 I recently had a question posed by a client who wanted to use Access Gateway on Netscaler to provide XenApp published applications to IOS devices. Straightforward stuff you’d think right? The situation soon got more complex when I found out that they had outsourced their two-factor authentication service to a third party, and that the usernames used on this system were different to both their internal Active Directory user ids and email addresses. Even worse, they didn’t even use the existing UPN’s that one might use to authenticate with AD as an alternative to traditional user IDs. 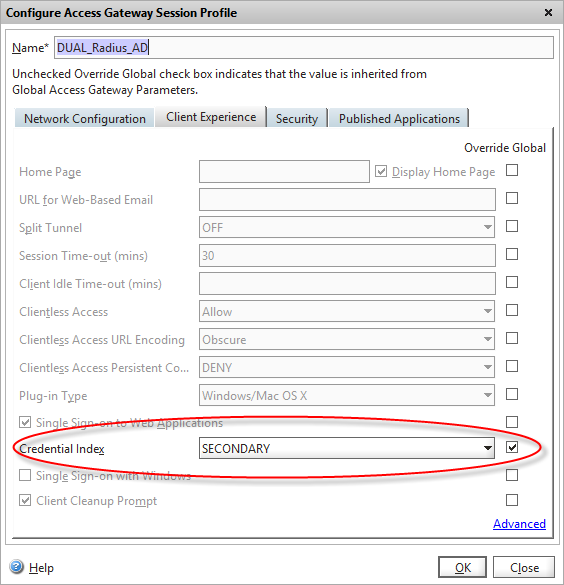 Despite being able to setup multiple authentication services on an Access Gateway VIP, you can only enter a single userid that then get’s used against all authentication servers. I love a good challenge, so set about working out how I would solve this problem, and I though I’d share the solution via this blog post. Whilst most configurations pass the user-id the user enters on the login page through to StoreFront to use as the user to authenticate to the domain with, one doesn’t have to enable this configuration. It is possible to separate the Netscaler authentication (e.g. 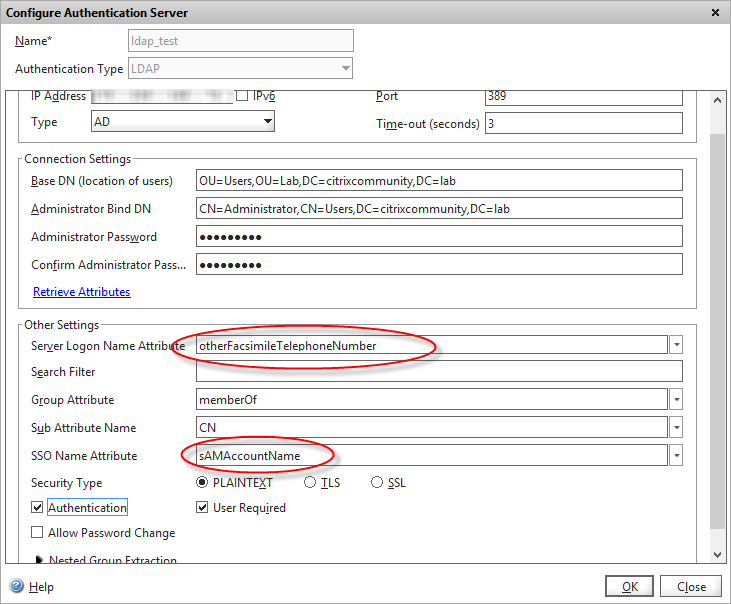 RADIUS), and the StoreFront authentication (AD/LDAP). 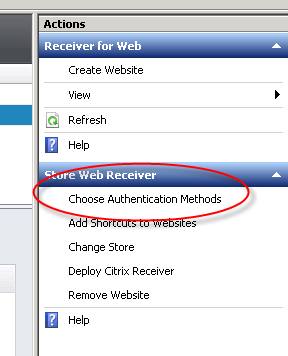 In StoreFront 2.5 you can now choose the authentication types supported for individual Receiver for Web sites. This means you can create a second Receiver for Web site that has pass-through authentication disabled without impacting your existing Store. Note you don’t want to remove the Remote Access configuration on your store, otherwise the STA ticketing functionality will cease to function. The store needs to be enabled for remote access, and you still need to configure your Gateways. There is a documented bug in all versions of StoreFront (including 2.5) which prevents StoreFront from authenticating users when Remote Access option is enabled but passthrough authentication not utilised. Warning: according to this KB article, changing this setting may prevent SmartAccess filters from functioning in StoreFront 1.2. I have not tested whether this is the case on more recent versions of StoreFront, but be aware of this and test before proceeding down this route. Gateway data from the request and the authentication token are not matching. Request was made to store Store Service. 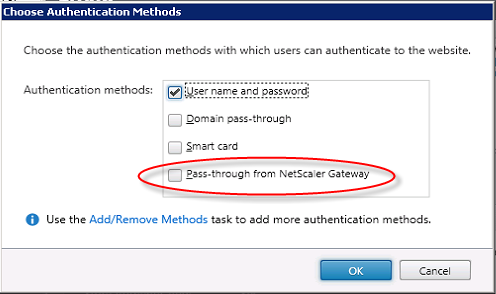 On the Netscaler Gateway you should now bind your RADIUS authentication source as the single primary authentication server on your Netscaler gateway virtual server. 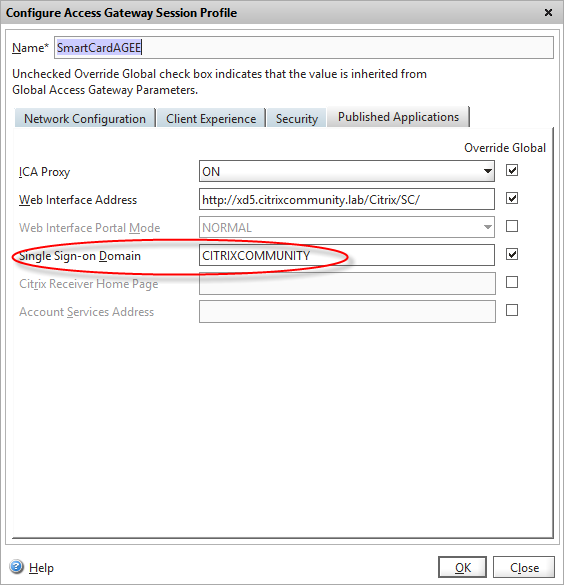 The users will be authenticated onto the Netscaler Gateway using their non-standard RADIUS credentials, and then presented with the StoreFront login page, which will accept their usual AD domain accounts or UPN. Objective achieved! 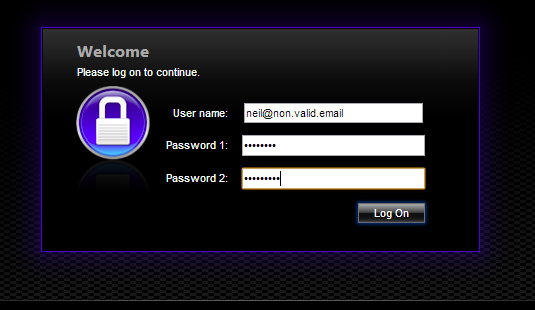 Note this method only works for the Receiver for Web logins. If any native Receiver clients are used, these all input credentials in one go, so it’s not possible to split the authentication across two separate pages, so you’ll need to use the more complex method below. Whilst method 1 does allow a different username from your AD account, most clients want to enter their credentials once, onto one single log on page. As such, we need to way of tying the RADIUS username and AD username together. Luckily the user ID’s used on the third party radius server can be programatically built based on the existing UPN’s (userPrincipleName) which means I can quickly populate AD using a recursive PowerShell/ADSI script. For RSA SecureID two-factor authentication, we have a primary and secondary authentication policy bound to our access gateway virtual server. One little known feature of the LDAP authentication server is that you can authenticate using any LDAP attribute, then query the directory (AD in our case) for a different attribute that’s then used for the single sign-on to Web Interface/StoreFront. I’ve configured the logon attribute to be the “otherFacsimileTelephoneNumber” as chosen earlier, and the “SSO Name attribute” to be the sAMAccountName – which will be our “real” AD username. Not having an expensive RSA SecureID server and license to test against in my lab, I wanted to ensure my configuration worked in practice (as any hardened Access Gateway user will know, getting the theory right is only half the story…) so I needed a secondary authentication server to process the RADIUS login. I downloaded and installed a free RADIUS server inside a Linux CentOS VM. On my Netscaler I added a second authentication policy and server of type RADIUS with the IP address of my Linux VM, and the secret key configured to match. This was set as primary authentication on the access gateway VIP, with LDAP being the secondary. I’m entering my non-standard userid as the user name, my test RADIUS password as password 1, and my AD password as password 2. Bingo! We are authenticated OK, and my applications are displayed in Web Interface/Storefront, despite having not entered my AD user! We can check a couple of log files to see what’s happening behind the scenes. We can see from the above that both RADIUS and LDAP authentication was sucessfull (two “accept” messages passed back to the kernel) and the LDAP sucessfully found “spellinn” as my NT userid. 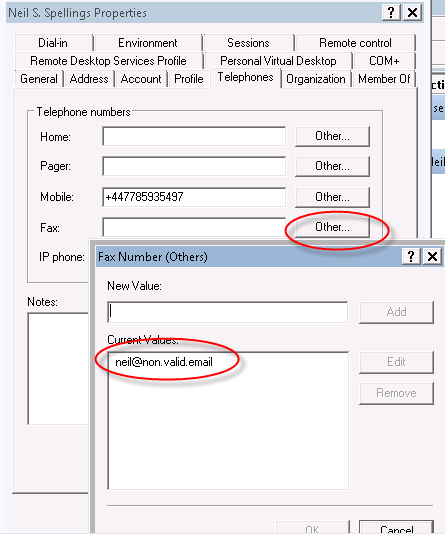 [suffix] Looking up realm "non.valid.email" for User-Name = "neil@non.valid.email"
[suffix] No such realm "non.valid.email"
So, in summary, we’ve authenticated to both Netscaler and Web Interface/StoreFront using a secondary user-id and two-factor authentication to RADIUS and AD.